We are proud to announce that Accion Systems has been named a Top 10 Most Innovative Company in space by Fast Company. In the past year, Accion has had many notable highlights including our first flight units having gone to space. And, our growing team has been working tirelessly to innovate a technology that hasn’t been improved upon since the 1950s, and costs 10-100 times less than existing options. Accion’s in-space propulsion systems are more affordable and lightweight allowing more organizations and institutions to access the benefits of space and satellites. CHICAGO, Oct. 10, 2018 – Boeing [NYSE: BA] today announced its investment in Accion Systems Inc., a Boston, Mass.,-based startup pioneering scalable electric propulsion technology to transform satellite capabilities in and beyond Earth’s orbit. Founded in 2014 by two Massachusetts Institute of Technology (MIT) engineers, Accion is redefining in-space propulsion. Accion has received annual contracts from the U.S. Department of Defense for the past three years. In June 2018, Accion Chief Executive Officer and Co-Founder Natalya Bailey was named to MIT Technology Review’s annual list of Innovators Under 35 for her visionary leadership. The investment continues Boeing’s legacy of adopting next-generation technologies to advance satellite capabilities. In 2011, Boeing introduced the first-ever all-electric satellite propulsion system, the 702SP, and has continued to bolster its satellite capabilities with recent investments in Millennium Space Systems and Bridge Sat. Inc.
BOSTON – June 27, 2018 – Today, Accion Systems announced that CEO and Co-founder Natalya Bailey, Ph.D. has been named to MIT Technology Review’s prestigious annual list of Innovators Under 35 as an Entreprneur. For over a decade, the global media company has recognized a list of exceptionally talented technologists whose work has great potential to transform the world. Bailey earned her doctorate in space propulsion at MIT in 2014 where she helped invent the first working prototype of an engine for small satellites that made use of liquid ion propulsion technology. This research became the foundation for Accion Systems, the space propulsion company she co-founded with fellow MIT graduate Louis Perna. The core technology enables small satellites to stay on orbit longer, avoid collisions with debris, and reach new orbits or even other planets and asteroids. Accion's thrusters also have significant safety, manufacturing, cost and size advantages over traditional systems. Founded at the Massachusetts Institute of Technology in 1899, MIT Technology Review is a world-renowned, independent media company whose insight, analysis, reviews, interviews and live events explain the commercial, social and political impact of new technologies. MIT Technology Review derives its authority from the world’s foremost technology institution and from its editors’ deep technical knowledge, capacity to see technologies in their broadest context, and unequaled access to leading innovators and researchers. MIT Technology Review’s mission is to bring about better-informed and more conscious decisions about technology through authoritative, influential and trustworthy journalism. Subscribe. Follow: Twitter, Facebook, LinkedIn, Google+, Instagram. Irvine CubeSat STEM Program: Take A Bow! Of the four payloads headed into Low Earth Orbit (LEO) on Friday, June 22nd, one comes from a very special place. Simply named IRVINE 01, this satellite belongs to the Irvine CubeSat STEM Program of Irvine, CA., an organization of over one hundred student members from six public high schools. The program collectively assembled, tested, and is about to launch their first solar powered CubeSat. For the past several years, Accion Systems’ founders Natalya Bailey and Louis Perna have been mentoring the students of the Irvine CubeSat STEM Program on satellite propulsion systems. They were so involved that the Irvine Program selected Accion System’s revolutionary in-space propulsion system TILE 50 and integrated it into the design of the CubeSat system. It was an ideal choice because the TILE 50 is small, analog, and has just the right amount of capability for a CubeSat. The Irvine CubeSat STEM Program is a joint educational endeavor to teach, train and inspire the next generation of STEM professionals. The students’ main objective is to assemble, test and launch a nano-satellite into LEO. Aboard IRVINE 01 has a low-resolution camera that will take pictures of Venus, stars and other celestial objects. Data from these images can be used to calculate distances to stars and determine pointing accuracy and satellite stability. Our mission is to develop advanced technologies for the space industry; specifically by pioneering high-quality, affordable in-space propulsion systems. This launch will be Accion’s first hardware launch into space. The hardware has been tested before - many times on the ground and twice when our co-founders were at MIT - but this is a big first for Accion. In fact, the whole mission is part of a new movement in the space industry. Known as “New Space”, the movement of young, entrepreneurial aerospace companies around the world lowering barriers to entry for missions into space is growing. The launch, organized by Rocket Lab, is a prime example of New Space philosophy ushering in a new era of unprecedented access to space. We can think of no better manifestation of New Space than the fact that a group of passionate, motivated high school students are putting a satellite into outer space this weekend. We encourage you to follow the progress of this remarkable group of young people - led by co-founders Kain Sosa and Dr. Brent Freeze. The best way to stay up to date on their progress is https://www.rocketlabusa.com/live-stream/. You can follow Irvine CubeSat STEM Program through Facebook, Instagram and Twitter. And if you are so inclined, you can financially support their efforts here. Accion will continue to work with Irvine CubeSat STEM Program for future satellite launches in conjunctions with other demo and commercial projects. Stay tuned for updates on IRVINE 02, which is currently scheduled to launch later in 2018. AUGUST 7, 2017 -- BOSTON -- Accion Systems and York Space Systems announced today that they have signed a memorandum of understanding to collaborate on a standardized propulsion system for future use with York Space Systems’ spacecraft platform. As part of the intended partnership, Accion Systems will become a preferred provider of standardized propulsion systems, providing York’s customers with state-of-the-art ion engine systems for their spacecraft missions. Accion Team and Natalya and Louis nab NEVY 2016 Nominations! Accion was announced as a nominee for Hottest Seed Startup at the 2016 NEVY Awards, hosted by the New England Venture Capital Association and Johnson & Johnson Innovation – JJDC, Inc., to celebrate entrepreneurship in New England across the Tech and Life Science communities! In addition, our own fearless leaders -- cofounders Natalya and Louis -- were also nominated for another NEVY, the Rising Star award. This year’s nominees were selected by an academy of judges composed of last year’s winners, experts in the technology and life science industries and Boston’s industry experts who have made an impact on the city’s entrepreneurial and venture capital landscape. The 2016 NEVY Award winners will be announced at Boston’s House of Blues on Wednesday, May 18, 2016. If you’d like to come and cheer us on (and chat about space!? ), please visit http://attend.com/2016NEVYAwards to purchase tickets! At Accion, we're always pushing the cutting edge of technology, and that includes our April Fools product announcements. What did we come up with for 2016? Watch the official release video here. Accion wins Fortune Magazine's Unicorn Idol competition! Accion nabbed a spot at Fortune Magazine's Brainstorm Tech conference this week in Aspen, CO. Natalya pitched against 4 other startups in an attempt to convince the audience that Accion could one day be worth at least $1B, which would move the team into the realm of companies referred to as "unicorns" by the Valley. The judges for the contest were Brad Feld, Amy Banse, and Donald Sterling, though ultimately the audience voted for the winner. Accion won the contest and a set of Herman Miller office furniture, and Natalya got to mingle all week with inspirational folks like many Fortune 500 CEOs and the CTO of the US, Megan Smith. The Fortune Mag coverage is here; stay tuned to the print/web edition of Fortune for a spread on Natalya and Accion. Accion Systems, a small satellite propulsion company, won a $3MM grant to advance its propulsion systems. June 17, 2015—Accion Systems Inc. today announced it has been awarded a $3MM Rapid Innovation Fund (RIF) contract from the Department of Defense. The RIF program was established to facilitate the rapid insertion of innovative technologies into military systems. Through this effort, Accion will advance its next-generation electric propulsion system. 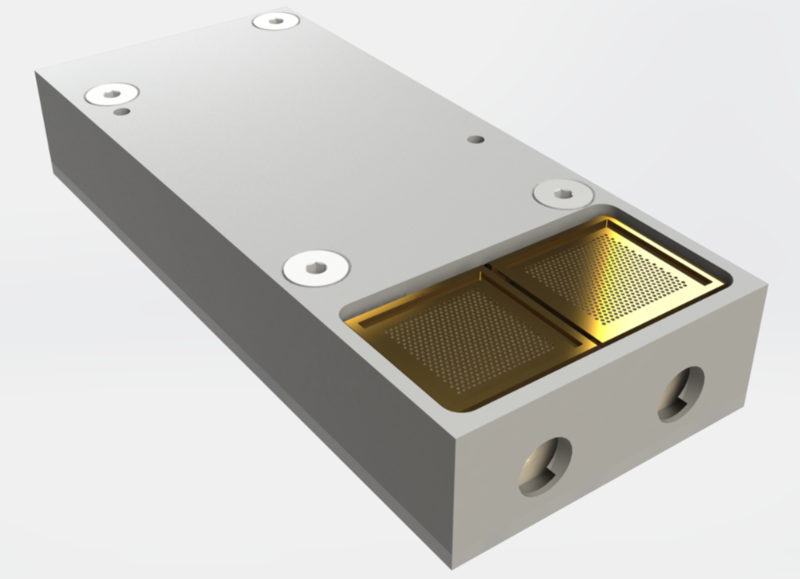 Accion has demonstrated smaller products for the increasingly popular CubeSat form factor since raising its seed round in December of 2014 and is also under contract to investigate novel methods for higher-thrust systems using the same hardware. CEO Natalya Brikner says of this award and other recent progress that “our team is excited to take our technology to the next level of performance and capability with so many strong partners behind us.” A flight demonstration was launched last month but the propulsion system is still waiting its turn in the mission’s order of operations before it will be turned on and evaluated. To meet demand from the rapidly growing small satellite sector, the MIT-spinout is expanding into new facilities outside of Boston and is recruiting for several positions including mechanical engineers, a production and quality engineer, and a program manager. Founded in 2014 and headquartered in Cambridge MA, Accion Systems Inc. develops advanced technologies for the new space industry. Accion’s propulsion systems are some of the first that can add maneuverability and lifetime to small satellites; the same systems can be scaled up to support satellites up to 2000 kg. Learn more at www.accion-systems.com. Accion Systems, a startup printing advanced propulsion systems, raises $2MM from FF Science, RRE Ventures, Founder Collective, and others to develop its first product and begin filling pre-orders. January 5, 2015—Accion Systems Inc. announces a $2MM seed round to support product development and initial sales of its ion electrospray propulsion technology. The round was led by FF Science and included RRE Ventures, SDF Ventures, Founder Collective, Galvanize Ventures, Samuel Lessin, Slow Ventures, Tim Tokarsky, Rene Reinsberg, Marek Oszlewski, GettyLab and TechU Angels. Accion develops advanced electric propulsion systems that provide critical capabilities for small satellites. Over the past year, the team has started taking pre-orders for their first product, which is in development and will launch later in 2015. Accion CEO and founder Natalya Brikner says “our unique propellants and novel manufacturing techniques let us break from slow, expensive aerospace tradition and leverage advances in areas like 3D printing and nanofabrication”. This round of fundraising will support product development and sales, R&D into next-generation materials and manufacturing techniques, and hiring. Accion is currently looking for engineers, materials scientists and a sales and business development person. Interested candidates can apply at www.accion-systems.com. Founded in 2014 and headquartered in Cambridge MA, Accion Systems Inc. develops advanced technologies for the new space industry. The company's propulsion systems are some of the first that can turn affordable satellites into capable ones. Learn more at www.accion-systems.com. Natalya pitched at MIT's Global Founder's Skills Accelerator Demo Day. Watch the video here.